Students are being sought after by many colleges. We want to help you manage the admissions application process and show you how to maximize your financial aid award. We will teach you how to attend a Private University for a Public School price! 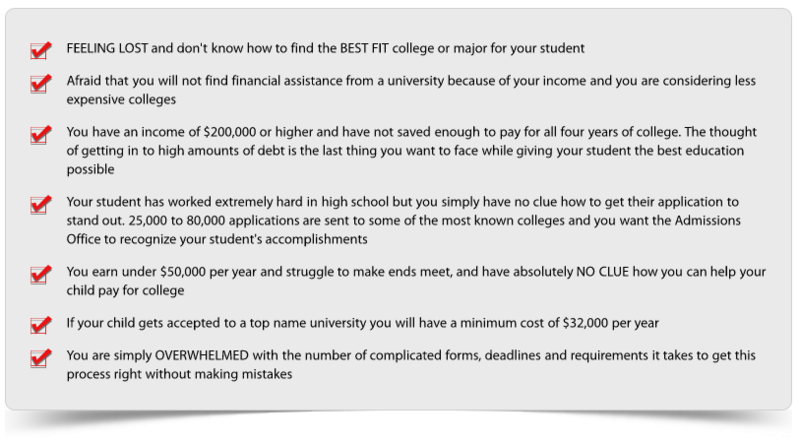 If any of these sound familiar to you we would like you to know ITS NOT YOUR FAULT and don’t give up just because the entire college planning process is frustrating. Premier College Guidance was created to be a resource that families can utilize to make the process EASIER and MISTAKE FREE. We realize that most families already understand that SATs, GPAs, and extracurricular activities are important requirements for getting into college. Further, most people realize that income and assets are a key factor in determining who qualifies for financial aid. So what matters most? What we believe is important when helping families is teaching what you may never hear from a counselor or college representative. In other words, what goes on BEHIND CLOSED DOORS OF THE ADMISSIONS AND FINANCIAL AID OFFICES. How do they make their decisions on who gets accepted and what will be your total out-of-pocket cost for any college you apply to. 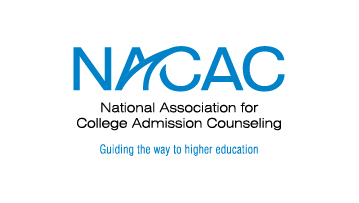 Before you take any action on your college plan, Contact Us to schedule a free consultation with a counselor to find out which of our Services might be a fit for your family.